Caratteristiche: Varietà autoctona diffusa in Sicilia; vinificata in purezza dà origine a un vino elegante e fruttato. CARATTERISTICHE ORGANOLETTICHE: Vino dall'aroma caratteristico che ricorda l'ortica, il pepe verde e il gelsomino. Abbinamenti consigliati: Si accompagna con frutti di mare, primi piatti di pasta con verdure, carni bianche e pesce al forno. "Gilbert & Gaillard" has rated the wine "Feudo Arancio Grillo Sicilia, Sicily, Italy" the vintage 2015 on 17.12.2015 with 87 of 100 points.
" Pale gold with green tints. Aromatic nose of white fruits, banana and a tropical dimension. Supple attack, a combination of lightness and roundness on the palate. Delightfully generous flavour with robust underlying exuberance. A modern wine worth discovering. " "Luca Gardini" has rated the wine "Feudo Arancio Grillo Sicilia, Sicily, Italy" the vintage 2016 on 01.04.2017 with 86 of 100 points. "Decanter World Wine Awards" has rated the wine "Feudo Arancio Grillo Sicilia, Sicily, Italy" the vintage 2016 on 01.01.2017 with 84 of 100 points. "Huon Hooke" has rated the wine "Feudo Arancio Grillo Sicilia, Sicily, Italy" the vintage 2010 on 20.07.2012 with 86 of 100 points. "Huon Hooke" has rated the wine "Feudo Arancio Grillo Sicilia, Sicily, Italy" the vintage 2008 on 04.03.2010 with 89 of 100 points. "Wine & Spirits Magazine" has rated the wine "Feudo Arancio Grillo Sicilia, Sicily, Italy" the vintage 2007 on 01.06.2009 with 86 of 100 points. "Wine Spectator" has rated the wine "Feudo Arancio Grillo Sicilia, Sicily, Italy" the vintage 2006 on 30.11.2008 with 84 of 100 points. "Wine Spectator" has rated the wine "Feudo Arancio Grillo Sicilia, Sicily, Italy" the vintage 2007 on 31.08.2008 with 86 of 100 points. "Wine Enthusiast" has rated the wine "Feudo Arancio Grillo Sicilia, Sicily, Italy" the vintage 2007 on 11.01.2008 with 85 of 100 points. "Wine Enthusiast" has rated the wine "Feudo Arancio Grillo Sicilia, Sicily, Italy" the vintage 2006 on 08.01.2007 with 86 of 100 points. "Wine Spectator" has rated the wine "Feudo Arancio Grillo Sicilia, Sicily, Italy" the vintage 2005 on 31.05.2006 with 84 of 100 points. "Wine Spectator" has rated the wine "Feudo Arancio Grillo Sicilia, Sicily, Italy" the vintage 2003 on 30.04.2005 with 86 of 100 points. "Wine Enthusiast" has rated the wine "Feudo Arancio Grillo Sicilia, Sicily, Italy" the vintage 2004 on 07.01.2005 with 86 of 100 points. "Wine Enthusiast" has rated the wine "Feudo Arancio Grillo Sicilia, Sicily, Italy" the vintage 2003 on 02.01.2005 with 84 of 100 points. "Wine Enthusiast" has rated the wine "Feudo Arancio Grillo Sicilia, Sicily, Italy" the vintage 2002 on 10.01.2003 with 84 of 100 points. "The Wine Front" has rated the wine "Feudo Arancio Grillo Sicilia, Sicily, Italy" the vintage 2010 with 90 of 100 points. "The Wine Front" has rated the wine "Feudo Arancio Grillo Sicilia, Sicily, Italy" the vintage 2013 with 89 of 100 points. "CellarTracker" has rated the wine "Feudo Arancio Grillo Sicilia, Sicily, Italy" the vintage 2006 with 87 of 100 points. "CellarTracker" has rated the wine "Feudo Arancio Grillo Sicilia, Sicily, Italy" the vintage 2008 with 85 of 100 points. 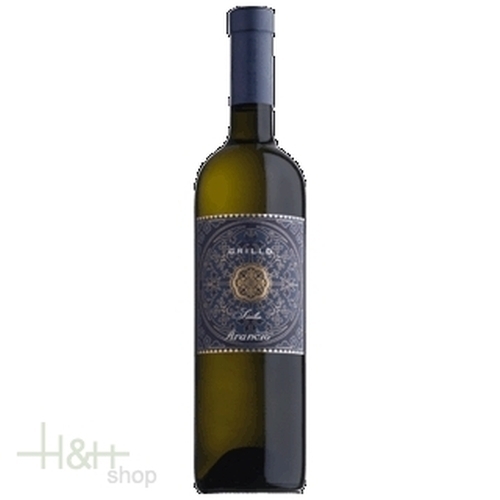 "CellarTracker" has rated the wine "Feudo Arancio Grillo Sicilia, Sicily, Italy" the vintage 2007 with 84 of 100 points.